SAN DIEGO (Legal Newsline) - A California federal judge recently denied a proposed settlement in a class action lawsuit brought over allegedly misleading labels in a high-end brand of jeans, concluding class members would not truly receive restitution under the deal. 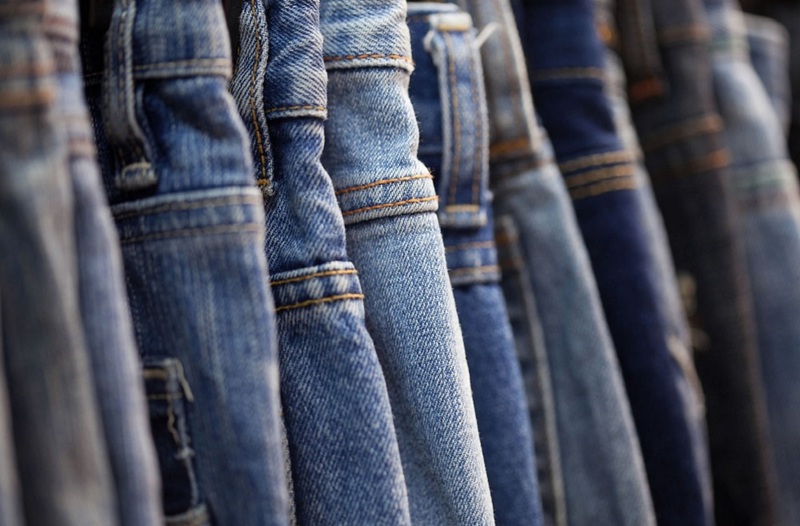 Plaintiff Sonia Hoffman, on behalf of the class, alleged that the jeans contained foreign-made components, including buttons, rivets, zipper assembly, thread and/or fabric. The lawsuit was originally filed in San Diego County Superior Court in September 2014. However, Dutch filed a notice of removal in the U.S. District Court for the Southern District of California in October 2014. The proposed settlement provided for: $20 e-gift certificates for the plaintiff class; $250,000 in cy pres awards; and up to $175,000 in plaintiffs’ attorneys’ fees with a clear sailing provision attached. Specifically, the defendant agreed to distribute $20 certificates to class members who submit a valid claim. Class members could receive up to two certificates without proof of purchase; any certificates in excess of $40 must be supported by proofs of purchase for the jeans. “The threshold issue is whether the gift certificate should be considered a coupon. Coupons require class members to pay their own money before they can take advantage of the coupon,” the judge explained. “The gift cards in the instant case are essentially coupons because they require Class Members to pay out of their own pocket before they can take advantage of the coupons. While the face value of the coupon is $20, the average price of the Jeans is $205. Additionally, class members who wish to use the coupons can only spend them online, not a store location, Curiel noted. “The least expensive item on the website, including clearance items, currently costs $58.80,” he wrote in the April 26 ruling. “Thus, the highest possible value for a Class Member’s coupons is a 34 percent discount on a future purchase. “Because the Class Members must pay out of pocket to utilize the gift card, the gift card amounts to a coupon,” he wrote, adding that both the courts and Congress generally disfavor coupon settlements. The proposed settlement also provided a cy pres donation of $250,000, paid over a period of five years. In this case, the defendant agreed to make awards to Step Up Women’s Network, FIDM Scholarship, Race for the Cure, Juvenile Diabetes Research Foundation, and Ability First. A cy pres remedy is a settlement remedy where the class members receive an indirect benefit rather than a direct benefit. These awards often take the form of donations by the defendant to third-party charities. The parties argued that cy pres was appropriate in this settlement because class members are largely women and the goals of the selected beneficiaries benefit women. “None of the chosen charities bear any relation to the goal of the statutes, consumer protection,” he wrote. parties agreed to a clear sailing provision for plaintiff’s attorneys’ fees, whereby the defendant agreed not to contest any award of attorneys’ fees that does not exceed $175,000. The defendant also agreed to pay for costs for providing notice and administering the claims not to exceed $90,000. In addition, the class representative would receive a $5,000 incentive payment. “While the motion does not specifically address why the clear sailing provision was justified, the parties imply that the provision is justified because the settlement process was fair,” Curiel explained. The parties negotiated in the presence of a neutral arbitrator, a retired judge, Curiel noted. “In the instant case, the ‘clear sailing’ provision creates at least a danger of collusion during the settlement negotiations which is not refuted by the record,” the federal judge wrote. “The presence of Judge May does not eliminate the possibility of collusion between the parties in this case. Taken as a whole, Curiel said, the settlement contains “sufficient deficiencies” so as to not warrant preliminary approval.